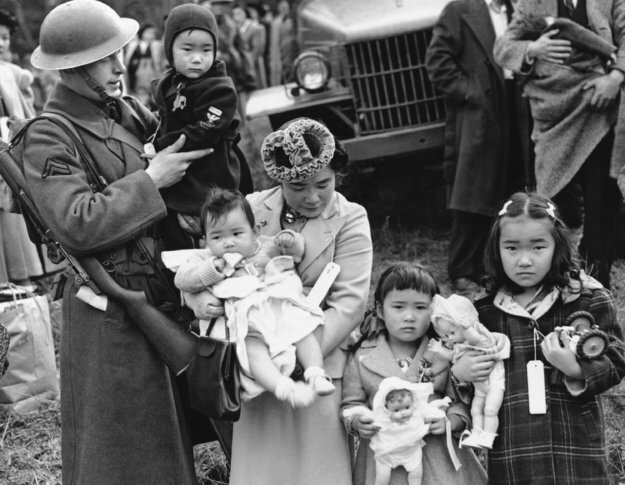 In 1942, during World War II, President Franklin D. Roosevelt signed Executive Order 9066, which paved the way for the relocation and internment of people of Japanese ancestry, including U.S.-born citizens. Imperial Japanese warplanes raided the Australian city of Darwin; at least 243 people were killed. Today is Tuesday, Feb. 19, the 50th day of 2019. There are 315 days left in the year. On Feb. 19, 1968, the children’s program “Mister Rogers’ Neighborhood,” created by and starring Fred Rogers, made its network debut on National Educational Television, a forerunner of PBS, beginning a 31-season run. In 1934, a blizzard began inundating the northeastern United States, with the heaviest snowfall occurring in Connecticut and Massachusetts. In 1945, Operation Detachment began during World War II as some 30,000 U.S. Marines began landing on Iwo Jima, where they commenced a successful month-long battle to seize control of the island from Japanese forces. In 1963, “The Feminine Mystique” by Betty Friedan was first published by W.W. Norton & Co. In 1986, the U.S. Senate approved, 83-11, the Genocide Convention, an international treaty outlawing “acts committed with intent to destroy, in whole or in part, a national, ethnical, racial or religious group,” nearly 37 years after the pact was first submitted for ratification. In 1997, Deng Xiaoping (dung shah-oh-ping), the last of China’s major Communist revolutionaries, died at age 92. In 2006, Israel halted the transfer of hundreds of millions of dollars in tax money to the Palestinians after Hamas took control of the Palestinian parliament. Ten years ago: President Barack Obama made a quick visit to Canada, his first trip outside the U.S. since taking office; he reassured Prime Minister Stephen Harper that the U.S. was not cultivating a protectionist streak despite its economic difficulties. A jury in Moscow voted unanimously to acquit three men in the killing of investigative reporter Anna Politkovskaya. Five years ago: President Barack Obama, in Mexico for a North American summit, urged Ukraine to avoid violence against peaceful protesters or face consequences; shortly after Obama’s remarks, Ukrainian President Viktor Yanukovych’s office said he and opposition leaders had agreed on a truce. On Day 13 of the Sochi Games, Norway won the first Olympic mixed relay in biathlon and Ole Einar Bjoerndalen became the most decorated Winter Olympian ever with 13 medals. Ted Ligety won the giant slalom, becoming the first American man to win two Olympic gold medals in Alpine skiing. One year ago: Syrian government forces began a bombing campaign in the northeastern suburbs of Damascus, the last major stronghold for rebels in the area of the capital; the campaign left hundreds dead. President Donald Trump endorsed Mitt Romney in Utah’s Senate race, another sign that the two Republicans were burying the hatchet after a strained relationship. The U.S. women’s Olympic hockey team reached the title game, shutting out Finland 5-0 in the semifinals. A French ice dancer at the Winter Olympics in South Korea suffered a wardrobe malfunction when her glittering emerald costume came unhooked at the neckline, exposing her left breast live on television; Gabriella Papadakis and her partner still managed to finish the program in second place.